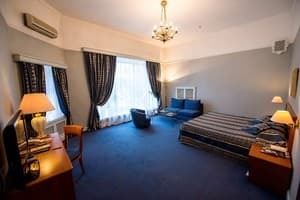 "Grand Hotel Ukraine" is located in the business center of Dnepropetrovsk, within walking distance from administrative and government buildings, museums and theaters, shopping centers and the city's main shops, restaurants and casinos. 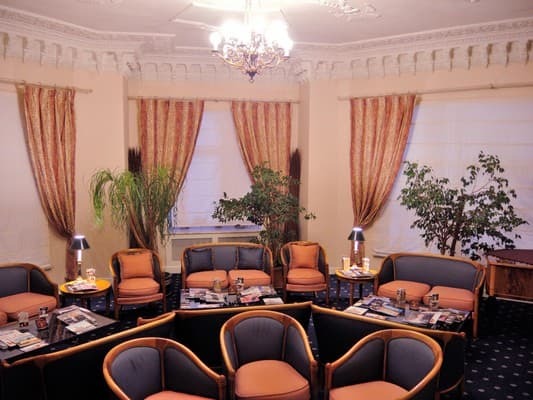 Grand Hotel Ukraine offers 80 comfortable rooms that meet international standards and meet the requirements of travelers and businessmen. 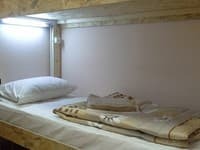 Of these, standard rooms, standard superior rooms, junior suites, suites. 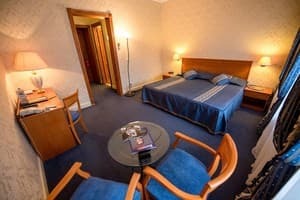 All rooms are equipped with international telephone, Internet, satellite and hotel television, individual air conditioning, safe, modern security and fire safety system. Each room has a minibar, hairdryer, bathrobes, slippers. 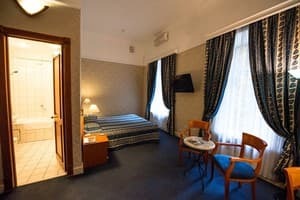 The rooms are equipped with the furniture of the world-famous Italian firm Gervasonni with Italian orthopedic mattresses of the Flex company, plumbing of the exclusive English company Royal Prodact and the Italian company Inda. There is a shampoo and shower gel in each shower room. 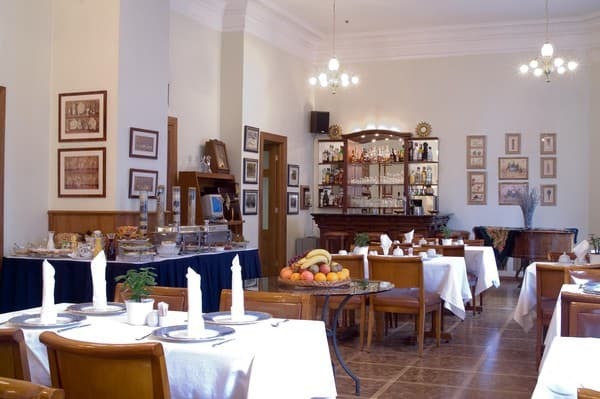 A Finnish sauna, a steam bath of a Turkish bath and air bubbles Jacuzzi both on their own and in the complex. 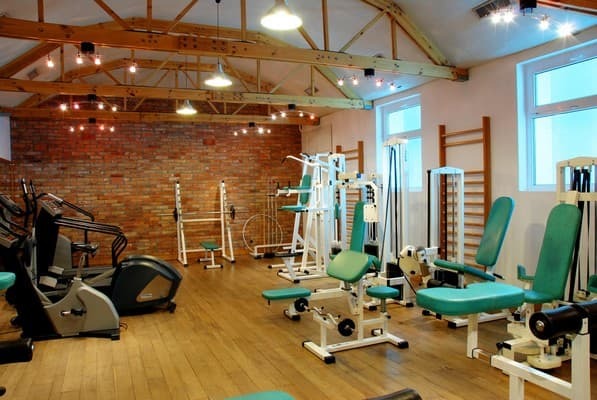 The cost of accommodation includes a visit to the sports complex located on the territory of the hotel, transfer from the airport or railway station to the hotel and vice versa (if pre-ordered), Wi-Fi, business center services. 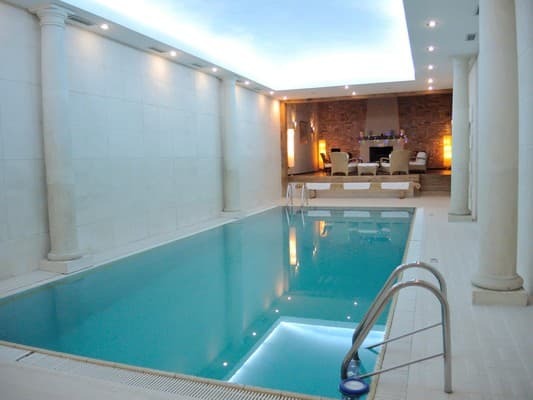 To the services of guests, a pool with azure water for 80 cubic meters of water 10x4 m.
Children under 7 years old stay free of charge with breakfast! From the railway station you can reach tram number 1 to the stop of Korolenko volcano. Or by shuttle # 101 to the stop of Korolenko street. By taxi to the address Korolenko, 2 - go 8 minutes. 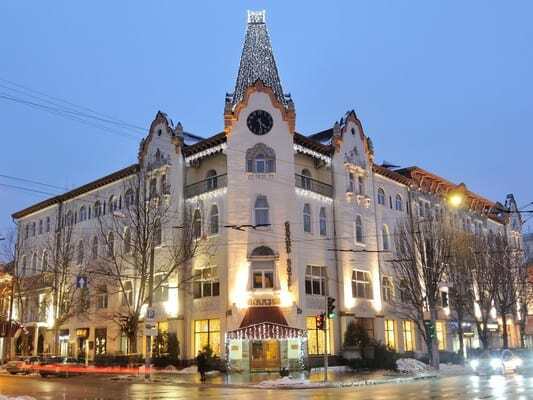 From the Airport to the hotel you can take a fixed-route taxi №109 to the stop of the Nagorny market and change to tram number 1 to go to the stop of the Central Department Store.